Wow, you're REALLY good at finding some killer deals. Looks like a great haul! I never would have guessed that bag was from Target either! It's really cute. 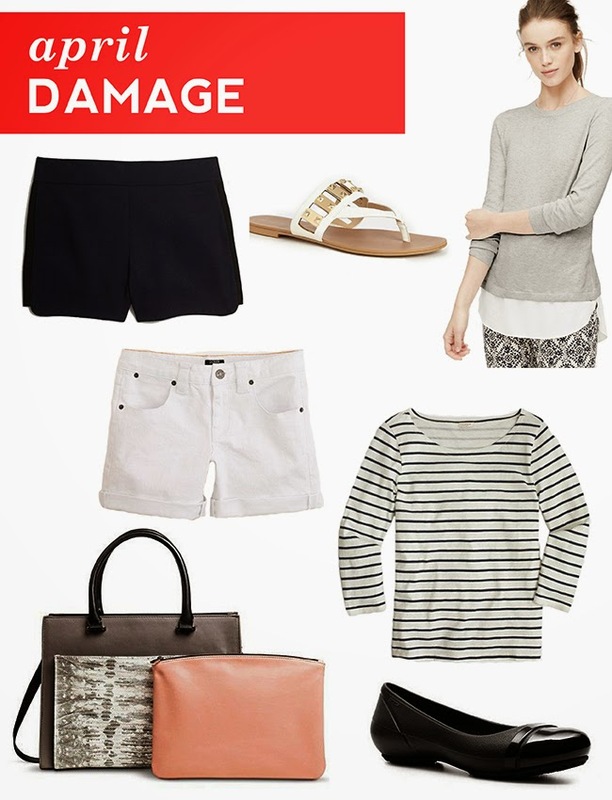 I love how you basically purchased a summer weekend wardrobe in one fell swoop, haha. Super cute stuff this month! Love those sandals!! Also, I can't believe your wedding is so soon. So so so exciting! It's crazy to see how much you saved in a month by keeping an eye on sales and being a smart shopper. You got some great pieces for spring. I know right! I very rarely things that aren't on sale these days. Thanks Kaitlin! I can't quite believe it either - 6 weeks!